If you’re looking for some extra special picnic ideas, just look what you can create with a few daisies and a lovely picnic treat table! 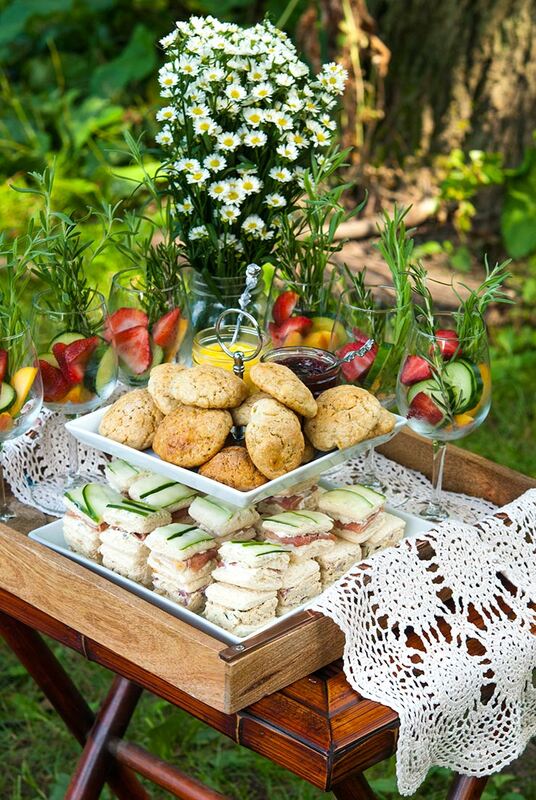 Instead of scattering my treats and cocktails over a picnic blanket, I set up this lovely little table, and used it to serve lemon-lavender scones, cucumber sandwiches, a precious cheese plate, curry deviled eggs and strawberry Pimm’s Cups! 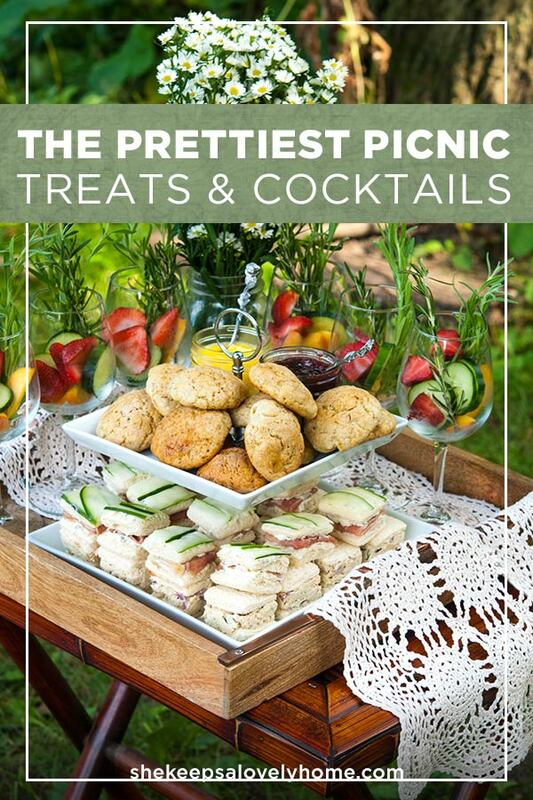 I’ve always found it tricky to place all my picnic treats and cocktails nicely on the ground at picnics. 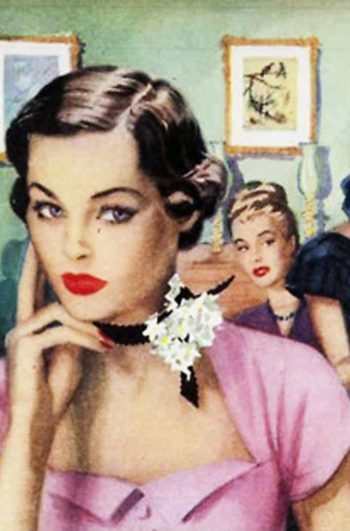 I’ve figured out some solutions here and there, but the ground is always uneven, which usually leads to a few spilled cocktails, folks need to kneel down to reach the appetizers and whoever sits beside the deviled eggs tends to scarf them all (usually me). So this time, I simply brought along a little folding table, a nice wooden tray, a simple appetizer tier and a precious lace runner to create this perfect little setup. No spilled cocktails! 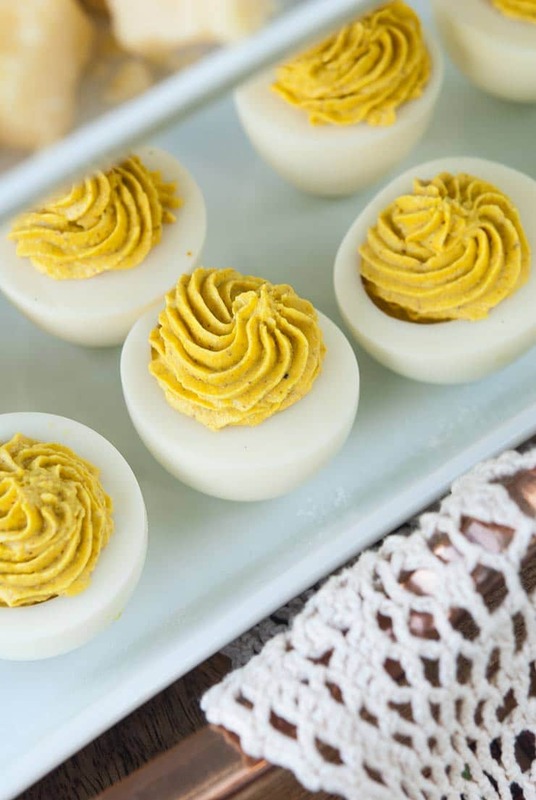 Although I did eat more than my fair share of deviled eggs… but I do that no matter how or where they’re displayed. I thought it would be a nice idea to start off with lemon-lavender scones with raspberry jam and honey butter on the top tier. The recipe is so simple and your picnic guests will love them! They’re light, fluffy and smell divine! The summer sun was baking them a little and you could smell them all the way to the badminton net! 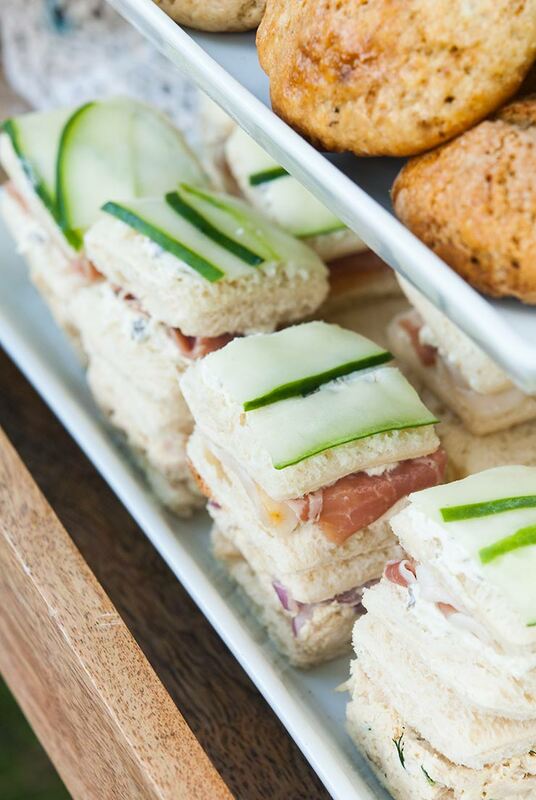 For the bottom tier, I made these precious little finger sandwiches! I made 2 kinds: dill chicken salad sandwiches and prosciutto, chive and cucumber sandwiches. I used my easy rotisserie dill chicken salad recipe for the chicken salad ones, and simply altered the recipe to be less chunky. I didn’t use radishes or celery, just onions and fresh dill. They were perfect! If you’d like to make dill chicken salad finger sandwiches yourself, they couldn’t be easier! 1. 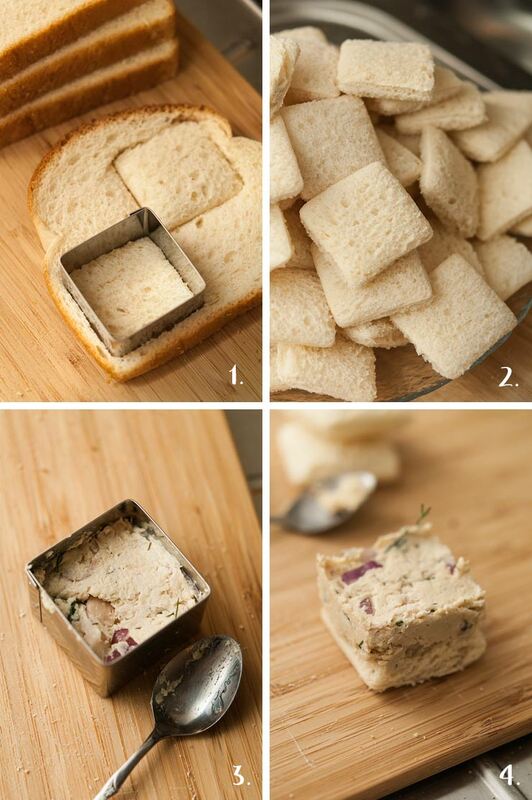 All you need is a square cookie cutter to cut perfect little squares out of your bread. 2. Place all your bread squares in a nice pile. 3. Then all you have to do is place a square inside your cookie cutter again, and spoon chicken salad right on top. Press it gently so that it fills to the edges. 4. Then simply push the chicken salad and bread out the bottom of the cookie cutter, and voilà! Place another bread square on top and you have lovely chicken salad finger sandwiches. 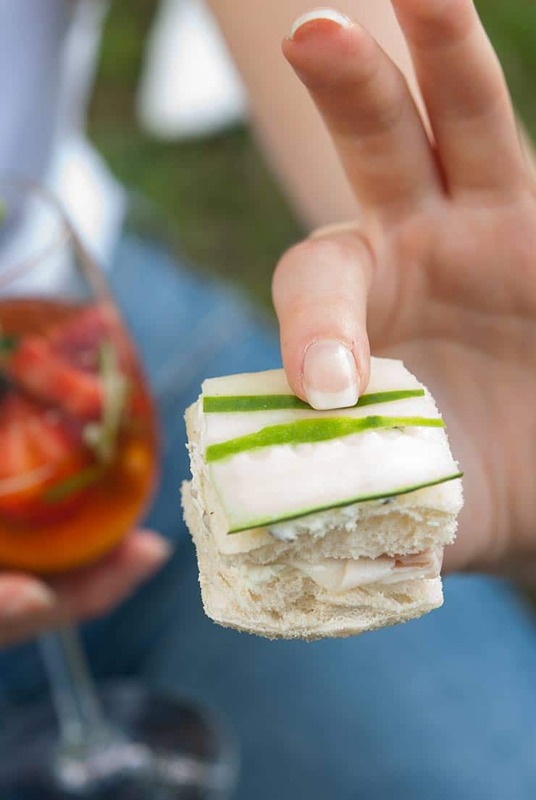 If you want to make the pretty cucumber sandwiches, it’s also perfectly simple, and doesn’t require anything except a small package of prosciutto, whipped cream cheese with chives, a cucumber and a potato peeler. 1. Start by spreading some cream cheese on a square, then cut a piece of prosciutto in half and fold it into a tiny square to fit right on top of your bread. 2. Then, spread some more cream cheese onto another square for the top. 4. 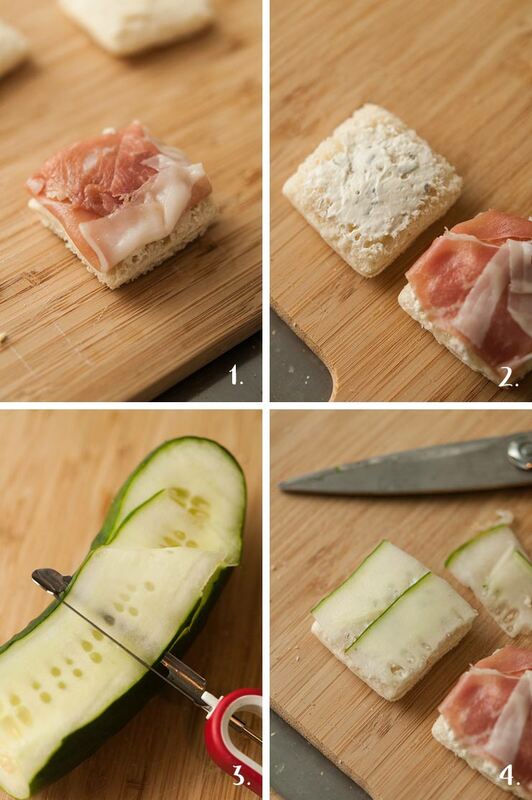 Take two pieces and place them gently on top of your bread square. Use a pair of kitchen scissors to cut the cucumber perfectly if you want them to look extra pretty and perfect. Add a little more cream cheese to the bottom of the bread, and pop it right on top of the prosciutto. 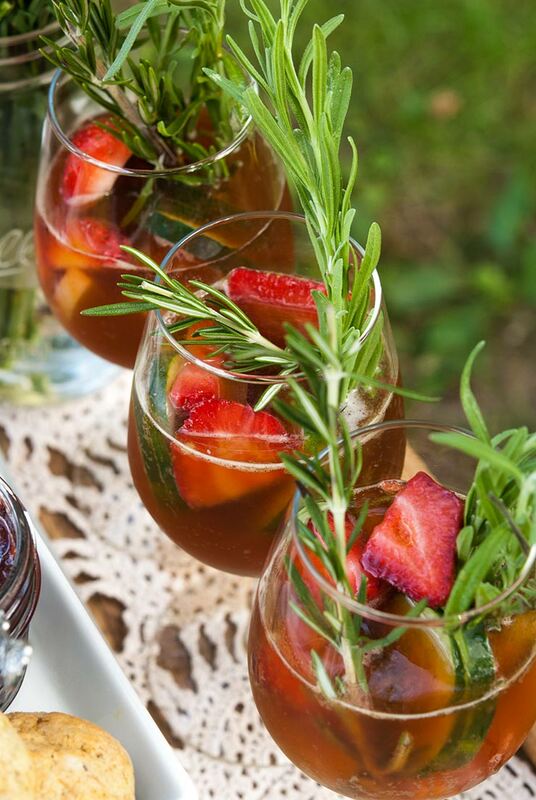 How to Make Strawberry Pimm’s Cups! My favorite cocktail for fancy picnic is the Pimm’s Cup, but this time, I wanted to make them a little extra special and “late-summery.” So I made strawberry Pimm’s Cups! If you want to make these yourself, take a look at my classic Pimm’s Cup recipe, and follow the directions below to make strawberry Pimm’s Cups! All you have to do is place about 4-5 large strawberries in a food processor and pulse until they’re nothing but juicy pulp. 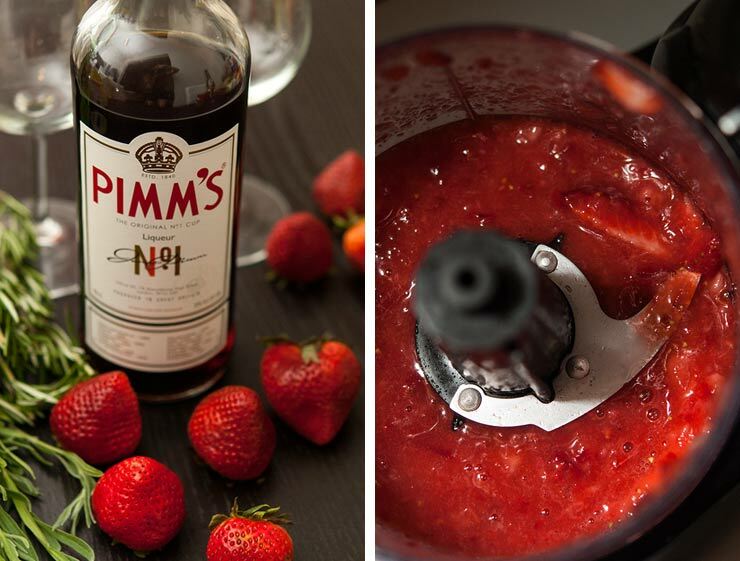 Pour your Pimm’s into a larger bottle or bowl, then pour your strawberry pulp in. Give it a good stir, then strain the pulp out. That’s all the is too it! 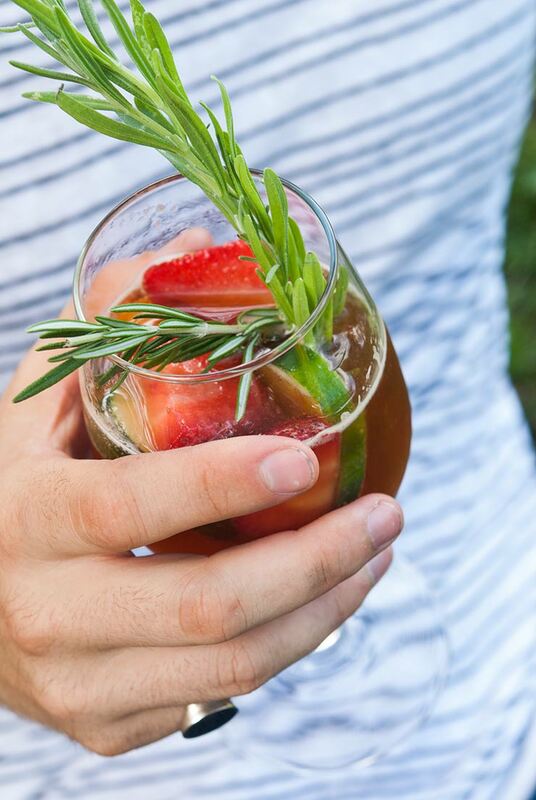 Simply combine your strawberry Pimm’s with your other cocktail ingredients and chill! 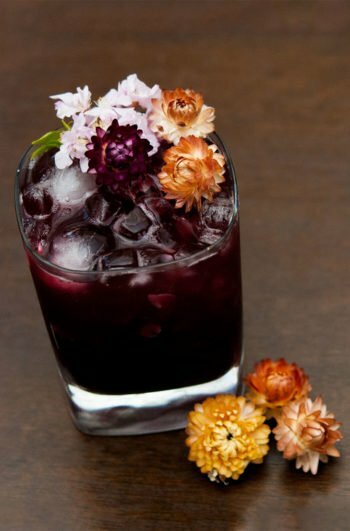 And just a tip, always go totally overboard with the garnishes! I add thyme, rosemary, cucumber, strawberries, white peaches and this time, I even added some lavender herb that I found at the farmers market! So divine! 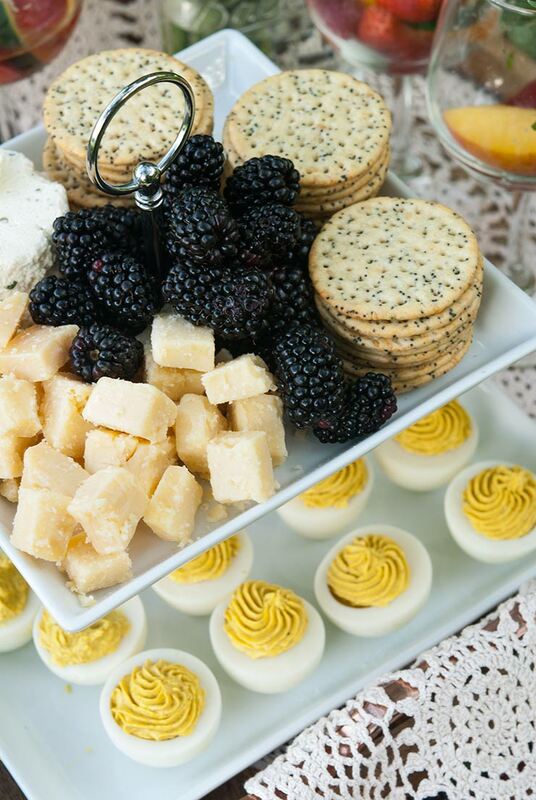 Once the scones and finger sandwiches were gone, I refreshed the tiers and created a lovely cheese and deviled egg sampler. Just a lovely Boursin, aged gouda and blackberries on top, and my curry deviled eggs on the bottom. This tray easily fed 6 of my friends, attracted no ants, and didn’t get hit by a badminton birdie once! That was my only concern. 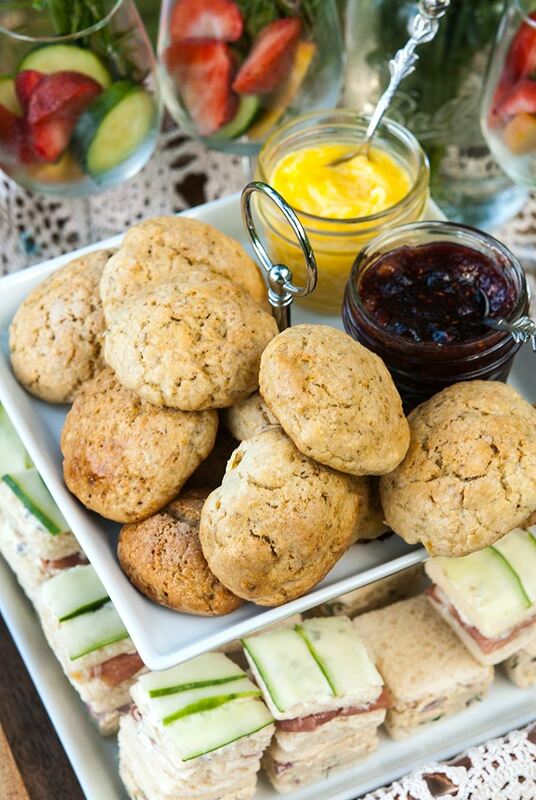 Help Yourself to Even More Tasty Picnic Inspiration!